If you follow me at all, you know I love to sew. It is my favorite hobby. But I also really enjoy most forms of crafting. I got myself a Silhouette cutting machine for Christmas. Which was the best choice EVER. I'm having WAY too much fun doing projects. I'm sure you'll seen tons more over the course of the year. 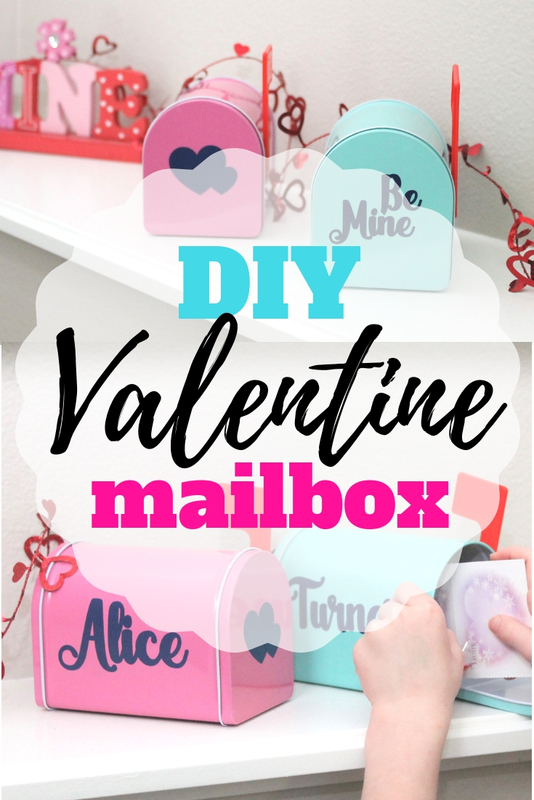 But since Valentine's Day is the closest holiday, you're getting a DIY Valentine Mailbox Tutorial. 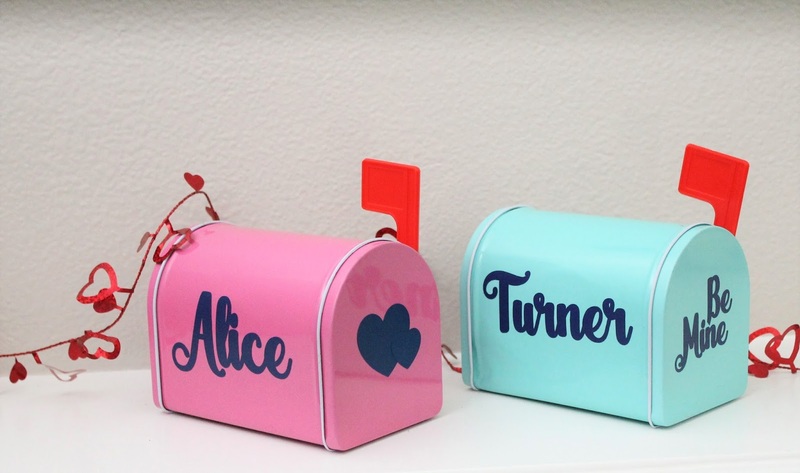 I found these adorable mailboxes at Target. It was a good find because I could only find the 2! Boo, since I've got 3 kids. But I justified the purchase with "the baby won't mind". Don't worry. I'll keep my eye out for another one. Maybe I'll find one soon or maybe next year. Remember he "won't mind". Not for another year at least. Using your Silhouette (or whatever machine you have), cut out the names of your children. You could also cut out some cute decals like hearts or Valentine sayings like "Be Mine" etc. Then weed your cuts. Transfer your cut design onto some transfer tape, then place it where you want on your cute mailbox. I put the designs on the side. Make sure to rub the vinyl firmly so it sticks to your mailbox. Repeat step 2 with all your cute designs. I placed "Be Mine" and cute hearts on the front of each of the Valentine mailboxes. 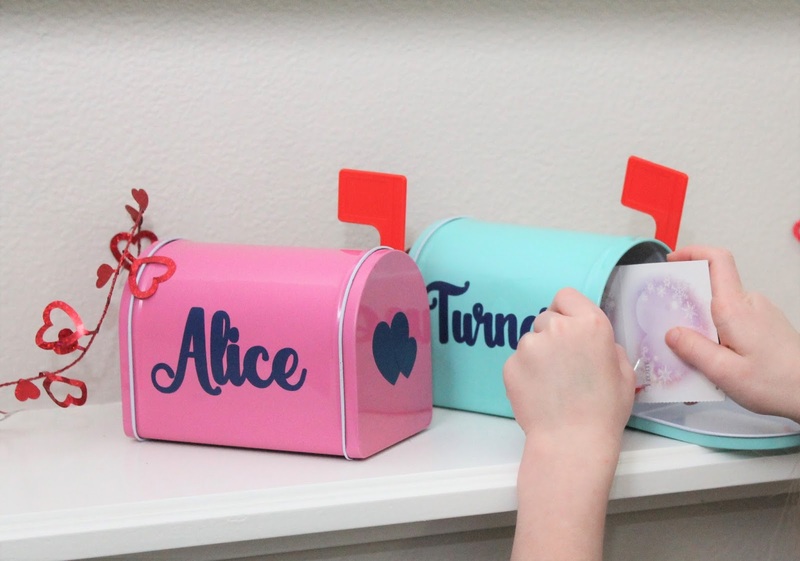 Fill those mailboxes with fun treasures, notes or kind service. 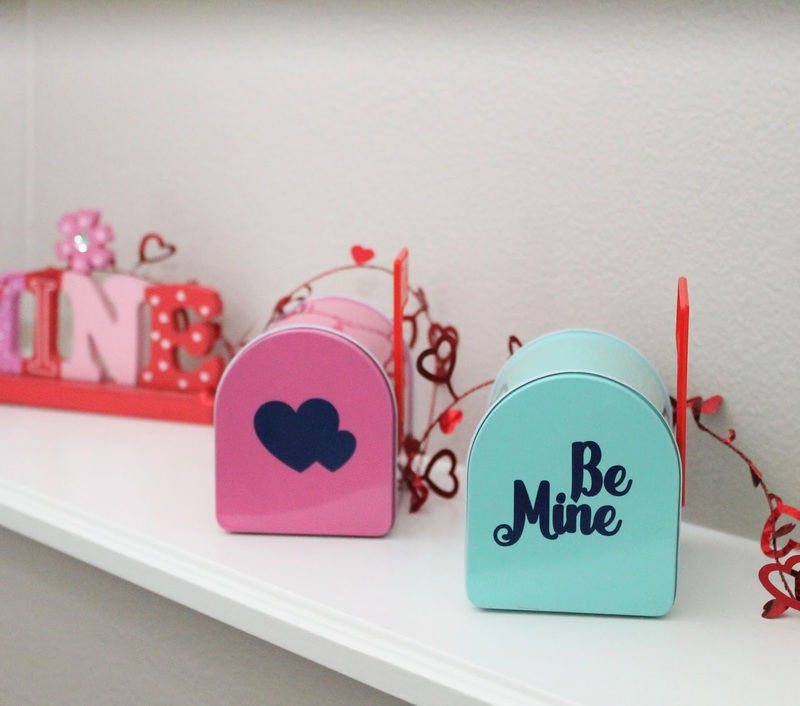 These DIY Valentine mailboxes would even be adorable for using throughout the year as a way to show your kids you love them. Leave surprises or little notes of thank you or I love you.